Why thank you @eventbright, what an awesome use of email. 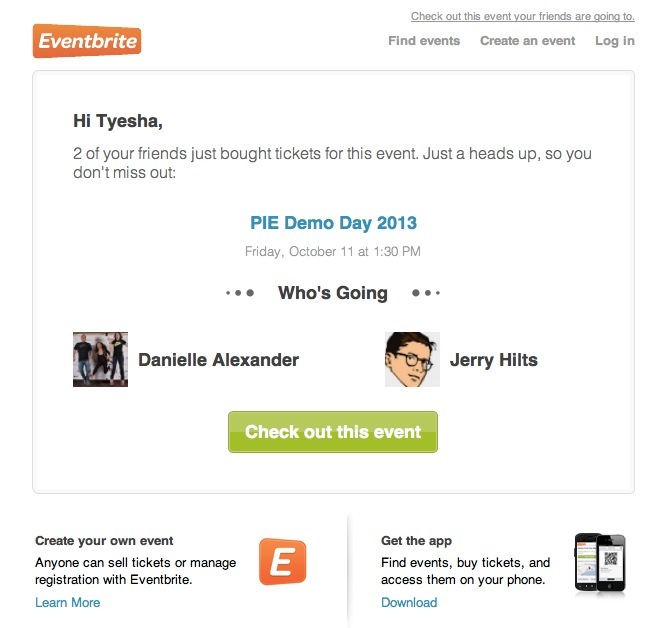 La la love this email I got from Eventbrite. Perfect use of email in my opinion. So much value here. Evenbrite is one of my favorite services. Everything about it works great for me; from the mobile app to the desktop experience to how they communicate. Great job you guys! Newer:In the absence of explicit rules...Older:Wall of shameful invite emails.